Super Robot Wars X is set to release this week in Japan, but its English release in Southeast Asia isn’t until April 26, 2018. We don’t have to wait that long to see the game’s trophy list, though, as a new listing has revealed new information about the game’s story and endings. View endings for both male and female protagonists. Bought all power parts (excluding Recommended) from the Vault and upgrade Magic Customization to Grade 6. 30 pilots achieve Ace Pilot status. Earn a Custom Bonus for 30 units. Deal 50,000 damage to a single enemy in one battle. Earn 100,000 funds in one battle. Any pilot achieves Great Ace status. Unlock all power parts (excluding Recommended) in the Vault. Create 30 types of Skill Programs. Protagonist makes a choice at a crossroad. Clear a scenario after eliminating all enemies and acquiring Ende’s Amulet. Clear a scenario after eliminating all enemies and acquiring Ende’s Eye. Any pilot achieves Ace Pilot status. Any unit acquires a Custom Bonus. With an ally unit sortied in a map, collect all Spirit Commands listed in the overall command Search. Any ally pilot destroys at least 10 enemy units in a single stage. Max out any pilot’s ExC. Buy any power part (excluding Recommended) from the Vault. Use the Spirit Command Resolve. Any enemy pilot gains 50 Morale. Any pilot learns a Skill Program. Achieve Grade 1 or higher in Magic Customization. Use the Individual Command Dogma. Any pilot uses Spirit Commands Valor and Soul simultaneously. Retaliate with a Counter attribute weapon at least 5 times in one stage. 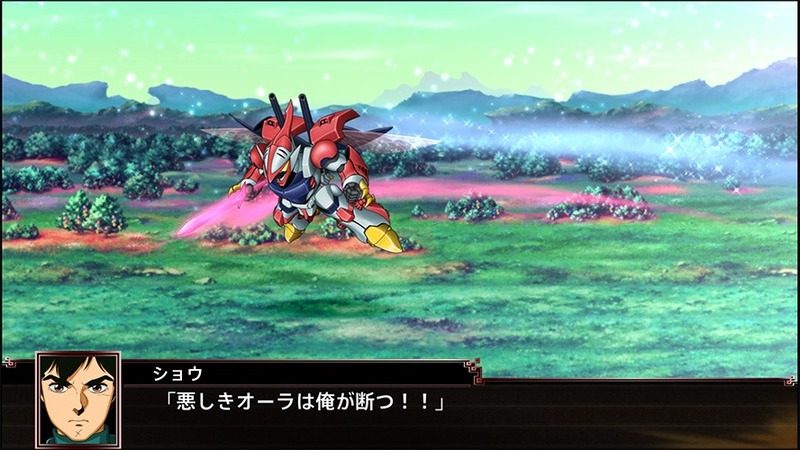 Super Robot Wars X releases March 29 in Japan. An English version will come out April 26, 2018 in Southeast Asia.